Most locations have refeshments to buy as well. 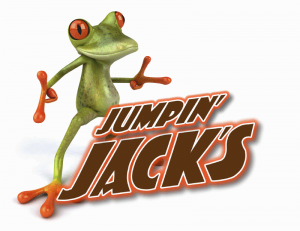 Just make sure to wear clean SOCKS on Jumpin' Jack's floors. Each location has inflatable toys, but also have a padded floor. CLICK HERE to print out discount coupons. Thursdays are already discounted at $4.